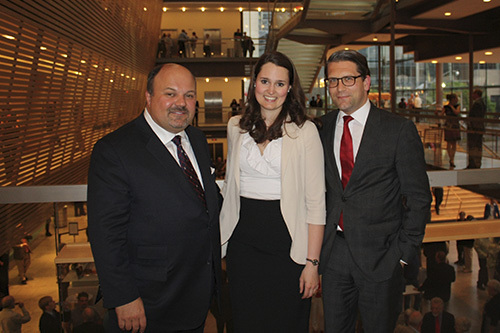 Peter Deeb, Ensemble Studio member Claire de Sévigné and General Director Alexander Neef during intermission at the opera. Peter Deeb is a success story by any measure. As the founder and Chairman of Hampton Securities, one of Canada’s leading investment firms, he has been an active member of Canada’s financial services community for over 20 years, having built a long career on Bay Street. A merchant banker by profession, Peter became well known for proprietary investments in energy, finance, shipping, and mining that over the years grew to become a major industrial portfolio. Peter also became a key figure in the regulatory development of Canada’s investment industry, serving as a past Chairman of the Ontario District Counsel and National Advisory Board of the Investment Industry Regulatory Association of Canada (IIROC). Peter has been a generous supporter of the COC since 2008 but last year, he wanted to express his commitment more personally. In 2012/2013 Peter committed a remarkable $1 million for the express purpose of helping to fund the COC’s training program for young opera professionals, the Ensemble Studio. That first opera led to dozens of appearances in productions spanning 23 years. He considers the highlight of his time with the COC (so far!) 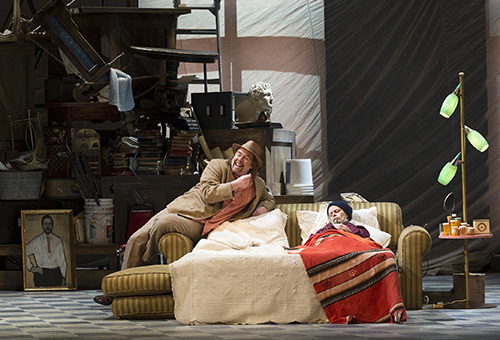 an experience in Don Pasquale when the director didn’t like what an onstage actor was doing in his role, and so decided to replace him at the last minute with Jim, who then spent the entire day in rehearsal with the director, and was on stage that evening at the dress rehearsal.